Nation’s only museum dedicated to the history of videogames and STEM education offers new space for private events! The National Videogame Museum (NVM), the only museum in America dedicated to the history of the videogame industry, is available to book for birthday parties and corporate events, providing an unforgettable experience for gamers of any level and age. 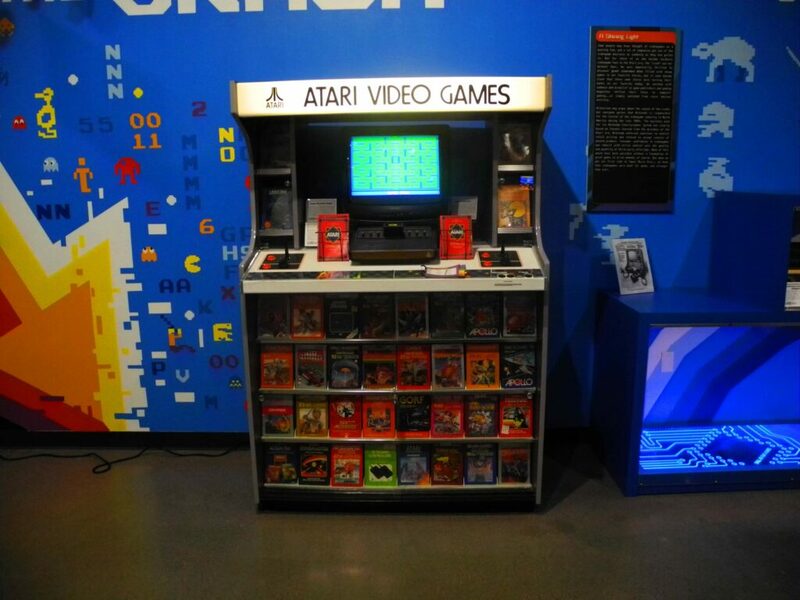 The museum features more than 100,000 videogame consoles, games and artifacts from the past and present. This interactive museum brings to life science, technology, engineering and math (STEM) values by tapping into America’s enthusiasm for playing and creating videogames. Party upgrades include: a private gaming tournament with your group at the Head-to-Head Hall, extra time in the party room and unlimited tokens. Bonus: the birthday guest receives a free special-edition museum t-shirt! Ever wanted a Pokémon or Super Mario birthday cake? NVM’s bakery partner Celebrity Bakery offers museum guests custom-made videogame cakes, and prices available upon request. From holiday parties to team building and everything in between, NVM provides a venue like no other in DFW! The museum offers access to many interactive games and unique features for guests. Play a round of giant PONG against your CEO. Battle your peers over Mortal Kombat. See who makes the most hamburgers in Burger Time. With dozens of games available, the museum provides an exciting experience for any corporate function. The NVM party room accommodates up to 40 people and comes complete with tables, chairs, a projector and a screen. The rate for this room is: $100 per hour, plus $10 per person. For groups up to 225 people, an external room next door to the museum is available. Tables and chairs are available for use at an additional charge. The rate for this room is: $175 per hour, plus $8 per person. Each person will receive four tokens for the 80s arcade. Additional tokens are always available for purchase in the arcade for 25-cents each. Each guest will also receive a coupon to bring their entire family back (up to six people) for a future visit, saving 25% off the regular ticket price. Optionally (at no extra charge), we will run a high score tournament on an arcade machine or at the Head-to-Hall consoles, and we’ll hand out a prize to the player with the highest score! Guests may book events during museum’s normal business hours or after hours. Bring your own food and drinks, or we can put you in touch with our local catering partners. Upgrades include: private gaming tournaments with your group in the Head-to-Head Hall, extra time in the themed party room, and unlimited tokens. Advanced reservation and deposits are required for all parties. All bookings and questions may be directed to NVM at info@nvmusa.org. Gearbox Behind-the-Scenes: See the actual office of Randy Pitchford, founder of Gearbox Software and creator of the games Borderlands, Brothers in Arms and Duke Nukem Forever.